Yes indeed, many of Garth’s concerns as to the military history of the Great War in general, reflect some of my own research interests; and the information about Tolkien’s service is also elucidating– I have also always felt that Signals/Cryptography must have appealed to Tolkien’s imaginative faculties. For once, a proper placement of a person in the ‘right job’ by the Army! The ‘subaltern’ in old British regiments prior to 1921-22 was equivalent to the later designation ‘2nd Lieutenant’ the junior-most rung of the commissioned officers’ ladder– we used to have the same ranks, here in the British Indian Army with the difference that until the 1921-22 Army Reforms, natives couldn’t get the King’s Commission, although they could rise to be VCOs (Viceroy’s Commissioned Officers) as many of my own elders did in that First War and even before. As you know, next year, 2014, shall be the centenary of the commencement of WW1 and many countries of the Commonwealth, including the UK and Pakistan/India, shall be organizing functions etc. As part of these the Indian Military Historical Society (IMHS) UK, shall be bringing out a special issue of their journal ”Durbar”, and amongst others from Pakistan and India , they’ve also asked me to give them a short article on my own elders who took part in the Great War, some 13-14 of them were active in this war then– so I can feel and sympathize with those who had family members who also participated. The point raised in your discussion, about the ‘distance’ of WW 1 from the public vis a vis WW2 is also a significant one– as aircraft and missile technology evolved and became more sophisticated , so did war became more ruthless, involving civilian populations too. ‘Collateral damage’ was not yet a term one heard but WW2 saw for the first time massive bombing of civilian targets, especially during the ‘Blitzkrieg’. Yes, mainland Europe would be more open to the sort of horrors and attacks that you mention; whereas England and the British Indian Empire across the seas remained rather more isolated and safe. Even in military terms, despite the scale and damage of WW1 there were no major reforms in the army until 1921-22, and by and large, things went on as before here. This can be judged from the fact that even as late as 1939-40, most of our Indian Cavalry Regiments were still ‘lancers’ i.e. still using horses and lance and swords, as of old. Mechanization came very suddenly in WW 2. A sea change indeed. Socially, however, the various Indian freedom movements began to think about the outcome of the Great War and to press for greater autonomy and even independence, eventually, from colonial rule. Although that was not yet to be, until 1947, one immediate measure that the British Raj took in 1921-22 was to allow Indians to obtain King’s Commissions in the army. In the parts of India that now form Pakistan, this decision had quite an impact as over 60% of the British Indian Army was drawn from here, and a big status change was implied. We were joined for our meeting today by our friends and ‘virtual’ Southfarthing members, Carol and Rosemary, although we missed other friends who were unable to be with us for our discussion of Chapters 8, 9 and 10. Our discussions were illustrated at appropriate moments by Carol’s family photos, one of which established a poignant connection with some of Angela’s family history. Carol also brought along 2 certificates issued during WW1 to children who had contributed to providing ‘comfort’ to troops in the trenches, such as writing to those who had no family. Prompted by the many references to Tolkien’s time near Thiepval, I also brought along a book on the Thiepval Monument to the military dead of the Great War. Laura began our discussion with her observation that the chapters that made up the reading for this session launch us into the reality of the war so that it becomes hard to concentrate on the poetry now. Carol and Kathleen commented that they hadn’t realised how much detail John Garth included in his treatment of the TCBS and the war. Anne remarked that the poetry of the TCBS members still showed evidence of their belief in their ‘higher mission’, and that the TCBS (in full) is a banal name in contrast to their belief in their ‘destiny’. Kathleen noted that what would be later named ‘battle fatigue’ was given no consideration early in the war, and Rosemary observed that John Garth is not skimping on the horror in these chapters. Carol added that in contrast to the gung-ho attitude to war in the propaganda, and initial patriotism of WW1, war has become anathema, but the soldiers still deserve praise for doing their duty. We turned to a discussion of Gilson’s ploy of going into battle dressed not in his officer’s uniform but in the battledress of the other ranks because he would be less likely to get shot. It was thought that officers were likely to be targets because they were officers, and that at least in a few cases, ordinary soldiers would pick out enemy officers rather than ‘other ranks’ like themselves. Carol then observed that there is now less social deference, and Chris noted that Tolkien did not get on with many of his fellow officers, but might have bonded more with an intelligent batman under less status-driven conditions. Laura elaborated this notion when she remarked that Tolkien was closer to the Sam’s of the world than with pretentious officers. Angela picked up Tolkien’s compassion for scared soldiers, relating it to his description of Aragorn’s reaction to the fighting men who shrank from the horror of approaching the Black Gate on the way to the final battle against Mordor. Aragorn not only offers them the chance to retreat honourably, but counsels them to do so in an orderly way, without a show of the panic they feel. Anne was impressed by the descriptions of the terrible sleep deprivation and cold that was part of Tolkien’s life in the trenches. Rosemary observed that the fighting men not only suffered wounds but were often afflicted more by illness. She noted that while many soldiers had come from unhealthy conditions in the slums, in the trenches all the pernicious illnesses were more concentrated. Added to this the local illnesses would have attacked unprepared immune systems. Angela added that conditions in the trenches were filthy, and Kathleen reminded us of the connection between illness and the infestations of lice that attacked Tolkien no less than others. Laura remarked that the underlying diseases afflicting some British soldiers were actually discovered during the medical that was part of the process of conscription. Rosemary noted that many were under-height anyway due to malnourishment. It all made for a bleak view of the health of young British working men during the early decades of the 20thC. Anne lightened the mood when she reminded us of the incident Garth narrates of Tolkien offering a drink of water, in German, to a German prisoner and being reprimanded for his mispronunciation! Angela and Laura both remarked on the fact that Tolkien kept some of the letters he received from the relatives of men who had been killed and to whom he had had to write with the terrible news. His sensitivity seems to have been appreciated. I commented on the interesting sense of irony in G.B. Smith’s assessment of Rob Gilson’s character, when he declared that ‘even though doubt and misgiving, storm and stress raged always in his developing mind…. the nobility of character and action once sent into the world does not return again empty’. The sentiments are a little strained, as might be expected of young men, but for Smith to have used the phrase ‘storm and stress’ without apparent recognition of the inherent irony shows how completely that generation shared a European-wide enthusiasm for the German Romantics and their concept of ‘sturm und drang’ – storm and stress. The sense of a shared culture adds pathos to the surrounding descriptions of the sufferings of war on both sides of the front line. Laura expanded this line of thought when she asked who now would compare the cataclysm of the Somme battle field to ‘Wotan … in some paroxysm of rage’, as an RFC officer said at the time. Carol took us back to Gilson dressing like the other-ranks, and compared this to Sam and Frodo in Mordor dressing so as to look like all the other orc foot-soldiers. It was conjectured that, like the uniforms of the British, orc garments were probably infested with lice too. No wonder Frodo objects to the gear Sam brings him in the Tower of Cirith Ungol! Anne wondered at the name of Gilson’s stepmother – Donna – which sounded too modern. Carol enlightened those of us who hadn’t read to the end, or didn’t remember it: Donna was not a given name but a nickname. Anne then went on to remark on the chirpy, heroic, but very prejudiced chaplain who made it necessary for Tolkien to worship with the Royal Irish Rifles. We were non-plussed by the idea that both sides in the war had chaplains praying for their sides’ victory, and hence the outright slaughter of other Christians. Rosemary took us back to the shooting of officers and thought more German officers had been shot. Kathleen observed that the shooting of officers was not necessarily status-based, but was likely to have demoralised the men if their leaders were constantly being killed. Laura noted that in Tolkien’s battalion officers of progressively decreasing ranks had to take on higher responsibilities as their commanders were killed. After an afternoon of wide-ranging discussion we had to decide what to read next. Our next reading will be chapters 11 and 12. As August is a 5-week month our next meeting it will be 14th Sept.
We took rather a long time to get started on our discussion of chapters 6 and 7 of Tolkien and the Great War, thanks to the arrival of a deliciously edible Bag End. With grateful thanks to Laura and to the cake-maker we munched our way through the front door and probably through several pantries! When we eventually turned to the text Laura began the discussion with her observation that John Garth handles his text with novelistic style as the pace has begun to speed up and there is now a lot of detail. Tim remarked on Tolkien’s fateful choice of the Signal Corps – a sensible choice which played to his strengths, in comparison with the given example of A.A. Milne who made the conscious choice to join the Signals to keep out of the front line. Laura and Tim continued the theme of Tolkien as cryptographer, questioning whether he was recruited in WW2 to serve at GCHQ or at Bletchley. Without checking, it was thought that the attempt to recruit him was unsuccessful. We moved on to a general discussion of modes of battlefield communication in WW1. The use of carrier pigeons caused some digressions into how they were trained. Anne was surprised that some were awarded medals, and Laura noted that the Germans used hawks to bring them down. Tim recalled that the Dastardly and Mutley cartoon was all about chasing a WW1 carrier pigeon. We did not get round to the episode of the TV series Blackadder Goes Forth which included the fate of ‘Speckled Jim’. Moving back to the text, Anne noted that Tolkien lost all the kit he had bought before leaving for France. Tim wondered if it had been intentionally misdirected by someone who saw the German-looking name and took exception to it. Laura then said she had looked up the word ‘subaltern’ in the dictionary, on the basis that we all kind of know what it connotes but this was the moment to check the exact definition. It in fact names the lowest rank of officer in the Army as midshipman is the lowest officer rank in the Navy. It was also noted that midshipmen are still known as ‘snotties’, and Laura added that the buttons on a midshipman’s sleeves were reputed to serve as a deterrent to the improper use of those sleeves. I wondered why midshipmen weren’t given handkerchiefs, which led Tim to remind us of Bilbo’s anxiety about leaving Bag End without his pocket handkerchief. Mike took us in a less messy direction when he remarked on the pronounced use of loving language in letters sent back from the war zone to Tolkien (still in training) from Smith and Wiseman. Anne contrasted this to the general resistance among the members of the TCBS to talking about their wives/fiancées. Mike and Anne argued that the impression is that all the members’ emotional needs should be met within the TCBS. I wondered if such expressions of admiration and closeness were means of coping with the isolation, lack of intellectual stimulation and constant horror. 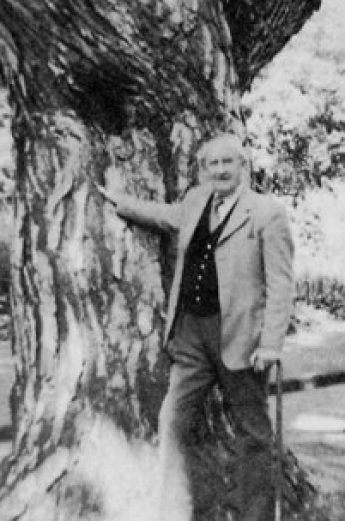 Mike observed that Tolkien’s later letters paint a picture of his closeness to his son Christopher which echoes his earlier closeness to his TCBS comrades. Laura observed that the TCBS were all Edwardian men and very intense, leading to their different letters. Tim added that they were writing in the face of imminent death. Angela remarked that Tolkien described his parting from his new wife Edith when he was posted to France as itself ‘like a death’. Mike commented on the TCBSians’ need to set up strategies to cope with separation from home, family and loved ones, but it is not like that today because with multimedia there is not the same sense of separation. Tim remarked that mobile phones etc were not permitted while on operations so some compartmentalising was still necessary, but that soldiers today are men of their own time as the TCBS were of theirs. Anne observed that what defined the difference were the social values in which fighting men were brought up. She argued that today, with the emphasis on ‘new men’ who are supposed to be ‘in touch with their feelings’ rather than tough guys may make harsher demands on them. Mike in effect countered this with his comments on the effect on the WW1 infantry of the daily slaughter such as that at Verdun. Chris noted that in WW2 both soldiers and civilians shared the danger, unlike the separation that marked WW1. We mentioned the shelling of Scarborough and the dropping of bombs from Zepplins, but Angela remarked that none of the Zepplins that did the bombing returned safely across the North Sea. Mike drew our attention back to the literary rather than the historical material in the text when he noted Rob Gilson’s critique of Tolkien’s ‘Kortirion’ poem as including ‘too many precious stones’. Mike thought this a brilliant analysis of the richness of Tolkien’s work which makes it demanding to read at times. Anne thought the friends had given their group a grandiose name when they referred to themselves as TCBSians, and this reflected in their mission to work for the ‘greater good’. It was pointed out that the abbreviation did not ‘mean’ anything grand. Tim remarked on the amount of Army slang to which the TCBS members were exposed, and their responses to it – from disdain to Tolkien’s development out of it of a Qenya vocabulary of war. Angela drew our attention to Tolkien’s disparaging opinion of ‘bossing’ men, and his preference for working people. Kathleen pointed out that he was never wealthy in the way that some other members of the TCBS were, and they independently remarked on his poverty at times. As we started to run out of time Angela noted that because Tolkien and Edith were married in Lent they were unable to have a full nuptial mass, and when they finally were able to make up for this absence the church congregation thought they must have been lining in sin! To end, we decided on our next reading which will be the next 3 chapters, thus finishing Part 2 of the book.